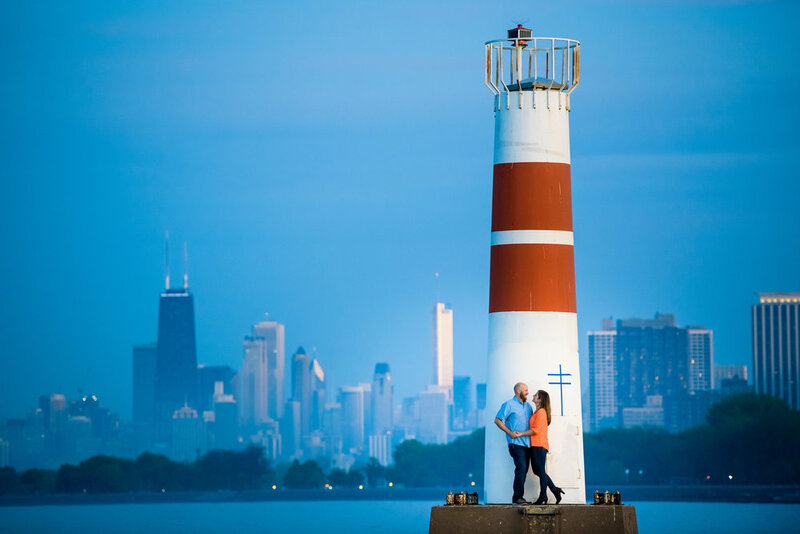 Curious about where to take photos for your engagement session or wedding day? Check out Wedicity's blog! It was a pleasure lending them my insight. Thank you to Tionna and her team for featuring my work! I had an absolutely amazing time with Colleen & Stuart on their engagement session! We started at Travelle inside The Langham Chicago, which is an incredibly stylish space. Even more stylish were their outfits. In a round about way, I'll say the shoot was sponsored by Trunk Club (friend of the bride works there). They started off by sharing a cocktail, which honestly is a great way to begin a session. We then met up with their pup near the State Street Bridge for photos along the riverwalk. As the sun went down, we finished with some dusk portraits on their building's rooftop, which has breathtaking views of the Chicago skyline. It was simply a great evening shooting with them, and I'm looking forward to the wedding!